In a time before Guitar Hero, Call of Duty and World of Warcraft, Activision had another smash hit that seemed like it was everywhere yet licensing soon stopped them in their tracks. It didn’t stop them from churning out new versions of it though. That game is 1995’s MechWarrior 2 – a mech combat “sim” and sequel to their 1989 game that brought FASA’s BattleTech sci-fi wargaming slash roleplaying franchise back to PC gaming in a big way. 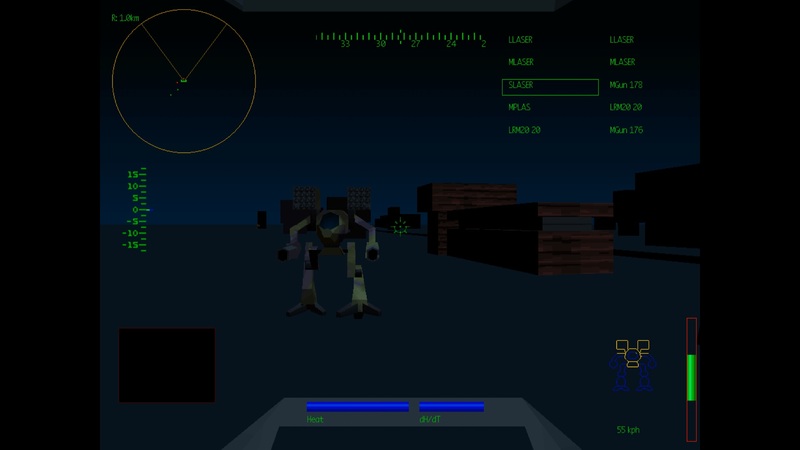 The Timberwolf “mech” had a unique design that helped differentiate MechWarrior 2 from similar games. The simulations I was currently playing were either derived from the modern military such as F-19 Stealth Fighter and Gunship 2000 or space based in the form of Wing Commander or the glorious TIE Fighter. But in this case we have players driving massive bipedal combat machines with their giant boots to the ground going head to head with others on the battlefield of the future. No matter your age, battling robots never gets old or as cool as this. Set during the 31st century, mankind has expanded to the stars thanks to advances in spaceflight technology. From this would come the Clans: remnants of an interstellar force who broke away and chose their own paths to follow. In the worlds of the Clans, feudalism is rife and conflict a constant threat as governments vie for supremacy. From this would come the BattleMechs and with them the MechWarriors – the ultimate warrior caste driving the ultimate war machines. As a child I was aware of the franchise but didn’t really know much about it apart from the sterling box art that showed many of the franchise’s designs in all of their glory. Though more utilitarian in their look compared to their sleeker Japanese counterparts in Macross and the like, that fit in perfectly for people who grew up with the “used universe” of Star Wars where machines were rarely shiny and dents and scrapes were a typical sign of use. Set in the year 3057 during “The Refusal War”, the game gives you the option of choosing a side in the conflict. No matter whether you choose to play either clan Wolf or Jade Falcon, you will still have the option to jump over to the other side and play missions from the opposing perspective though I’d imagine most people would prefer to play through them one at at a time. The source material is rich with backstory that may evoke similarities to science fiction from Dune to Warhammer 40K. The CGI intros that play after selecting a Clan haven’t aged well, most examples of the era don’t to be honest, but they are still effective in setting the tone for the world that you’ll be inhabiting and giving each faction their own personality. This use of narrative was always a strength of the science fiction based simulations over the modern military versions – a campaign was more than just a series of missions but a real story to tell. And you were part of it. 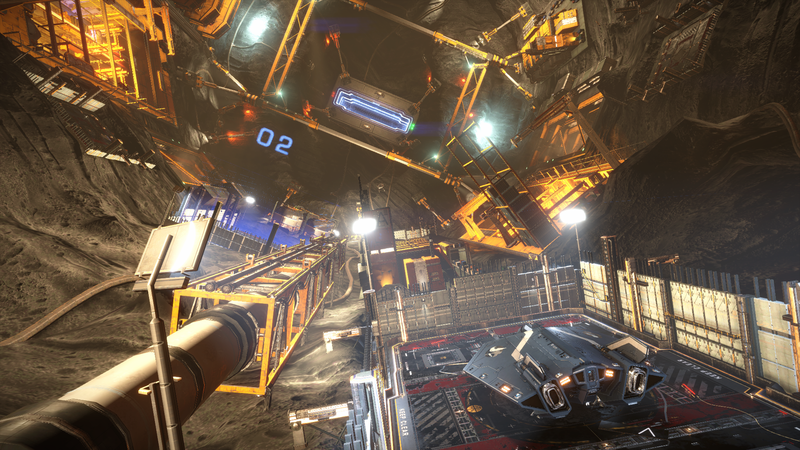 Gameplay certainly fits the simulation model with control over movement and weapons systems. In the world of a MechWarrior, the biggest issue you face isn’t always about ammunition: a lot of it is about heat. Mechs generate heat during general use and especially when using weapons – if pilots don’t manage keeping it within tolerances the mechs will immediately shutdown to cool. The last thing you want is for that to happen during a fight so you need to be well versed in managing your resources so that your mech remains running. This is not the kind of game where being trigger happy or linking all your weapons together is a good idea. Combat will feel quite familiar to anyone who has played a Microprose military SIM and it’s a blessing that a lot of the control concepts from other games in the genre apply here too. Players of Gunship may feel more at home here thanks to how both work in a fight where you often line up a shot then rip away with a mix of guns and missiles. A cool touch is that the damage model applies to individual limbs on the mechs so it you target a leg and blow it off they will be unable to walk. Likewise shooting an arm off may hamper their offensive capabilities. The same can happen to you too so it’s also wise to avoid standing still for very long. There was even a multiplayer component added later called NetMech that allowed up to eight players to face against each other over a network in the twelve maps included in the package. Though it runs on the older IPX network protocol, it’s apparently still possible to get it up and running and even play it online. It’s certainly not the prettiest game now but it still plays well. 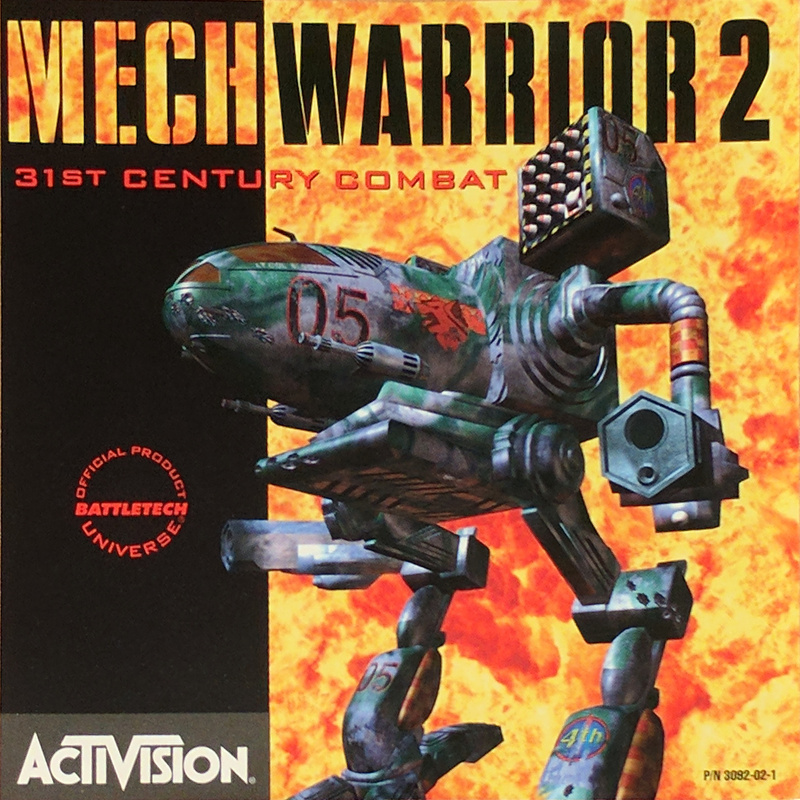 Activision’s licensing of the brand ended with MechWarrior 2 so they were creative in finding ways to keep the game’s success going including an expansion pack (Ghost Bear’s Legacy) and a standalone expansion (Mercenaries). The series would continue on but jumped from publisher to publisher until Microsoft snapped up FASA Studio and the electronic rights to the BattleTech property as well as others including Shadowrun and Crimson Skies. Microsoft did made an attempt to bring a variant of the game to consoles with the 3rd person MechAssault series but unfortunately no new titles have come since those that appeared on the original Xbox console. Games continue to come out though (there’s been a MechWarrior 3 and MechWarrior 4 in that time) and through licensing there’s MechWarrior Online which is close to being a direct descendent of the games but now in a fully dedicated multiplayer form. BattleTech is also returning to its strategy roots soon with the turn based BattleTech which is coming from the studio owned by one of the franchise’s original creators, Jordan Weisman. MechWarrior 2 doesn’t appear to be available from Steam, GOG, etc likely because of the licensing issues but I’m guessing it’ll be around somewhere on Abandonware sites. Because of that it’s going to take a bit of work to get the game up and running again on a modern PC. With the three different versions I have (DOS, Windows 95 (Pentium Edition) and the 3dfx Edition) I’d really like to try and get the best (ie. 3dfx) version to work. However the odds of getting the game to run in DOSBox are far higher as the others may be hampered by Windows compatibility issues not to mention getting a 3dfx Glide wrapper to work. If you’re lucky to have a copy, there’s a great guide here on finding the right set up for you to get into the game once more. If you take the DOSBox route (running the DOS version of MW2) you should be up and running in an hour with most of your time spent on making a disc image of the CD-ROM so that it can be mounted in the emulator. With a beefy PC there shouldn’t be any concerns about it running at the maximum 1024×768 pixel resolution. It may not be the prettiest version of the game but it works well and loads WAY faster than it ever did back in the old days. Just take your time to get the controls working the way you want them but even the default mouse and keyboard work well enough. 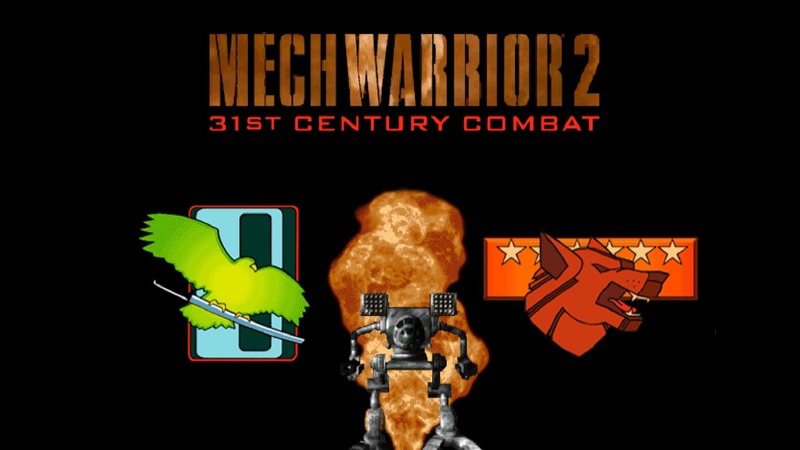 It’s rare to find a game that makes you want to play it over and over again just because of some slight improvement leads to a re-release but that was the case for me with MechWarrior 2. A game that seemed to upgrade as much as my PC did back then and helped ease me into the new world of 3D graphics cards in the process. Greatest Games is a feature where we highlight our favourite games from the past and try to explain what we think makes them great and worth searching out to play again. If you’ve got your own thoughts on the subject, please feel free to share them in the comments below. Was indeed a great game. Let’s hope it gets a remake at some stage. One annoying thing bout the game was how the arms always got taken out first, and how LRMs were the killer weapon. But other than that, the game was great.